Property trends change and purchases can be for a home, an investment or business. People have changed in their needs and many now look to their home to provide them their ideal lifestyle too. Combining a home with an Income can fulfil several needs for people. 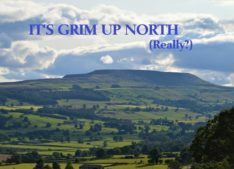 It’s not for all though, it can be hard work and certainly not a 9-5 job! But you get to live in a beautiful home, enjoy a flexible working life, paid for by your guests, and is a great lifestyle choice for some. The location choice is an important factor, a location to suit your paying guests and to enjoy as part of the lifestyle choice. Maybe near a beach and within walking distance of the harbour, some wonderful restaurants, the station, and tourist activities, maybe close by a steam train railway station, perhaps close to a zoo. Imagine then to live on the English Riviera, with 22 miles of glorious beaches, ample activities on offer to draw in paying guests and fabulous restaurants available to tempt you too. A coastal location provides some incredible seafood choices! 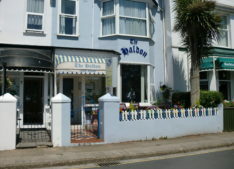 BusinessXchange are currently offering a wonderful lifestyle choice; a Guest House on the English Riviera in Paignton. 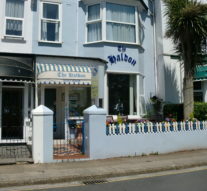 The Haldon guest house is just a short stroll from the beach and within the ‘golden square’, a hospitality area situated close to the Train & Coach Stations, shops and beach – a tourist destination point. The property itself has excellent accommodation, there are 7 letting bedrooms, which include a king/twin room, double and single rooms. The en-suites are superb. A beautiful breakfast room with bay window bringing in plenty of light. The working kitchen has an island ideal for plating up breakfasts and a range cooker. The owner’s accommodation offers a double bedroom, shower room and an office which could easily convert to a second bedroom if required. The owners also benefit from a conservatory style utility area, an outside courtyard and an extremely spacious Lounge. If you would like to know more about a lifestyle and property choice, just contact BusinessXchange for further details of the Haldon Guest House; simply ring Lyn at BusinessXchange on 0330 043 4351 or email lyn@businessxchange.uk and you could be one step closer to a very different lifestyle choice. 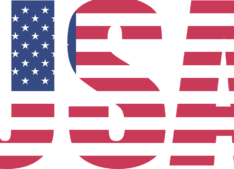 « Previous Article Prop Tech .... What Does It All Mean? 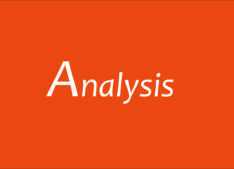 Next Article » Signs of Stabilisation in the London Housing Market? 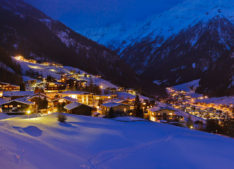 Ski Property Investment: How, Where …. and Why?